The one gig that I look forward to every year is the visit of Jim Crawford. Jim is something of an enigma. Originally from Lancashire, he now resides on the North Devon coast. 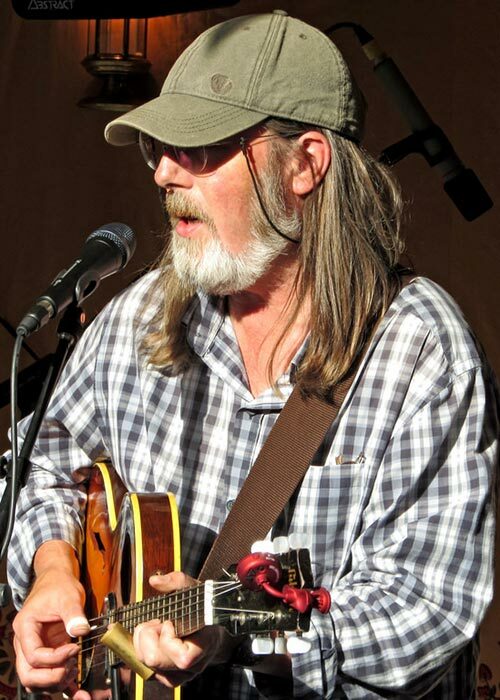 A shy and retiring man who readily admits that recording studios fill him with dread and that he’d rather go fishing with his dog for company, has, none the less, toured much of Europe and the U.S.A captivating audiences with his intimate folk/blues style. Softly spoken, Jim totally surprises his audience when he breaks into song with, as one reviewer put it "A richness of voice you can only be born with." and for years has been revered among professional musicians as a consummate finger picker and slide guitarist. Jim has recorded three superb albums, “ Roots & Originals”, “Blues Boy” and “When The Rains Came” which will be on sale on the night. Definitely a gig not to be missed! !